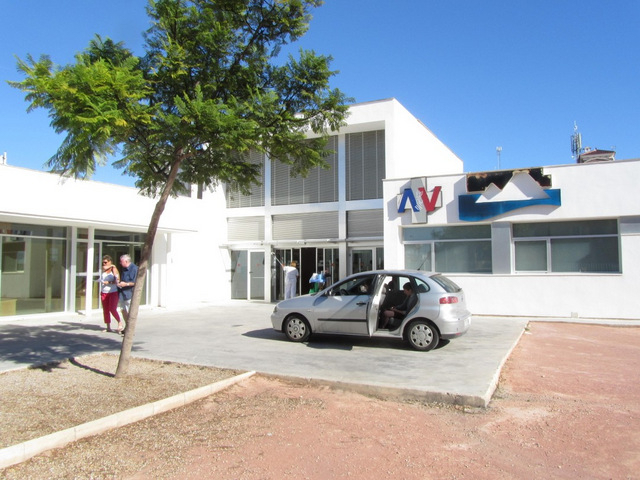 The public health centre and medical clinic which serves the coastal area of the municipality of Orihuela is located in Calle del Mar, which at the southern end of the Aguamarina commercial area between Campoamor and Cabo Roig next to the main N-332 road. It opens on weekdays from 8.00 to 21.00 and operates a full range of medical services including an emergency unit, which runs after 21.00 on weekdays and is in operation 24 hours a day on Saturdays and Sundays. Appointments can be made by telephone at 968 322965 or online for those who are registered with the Spanish public health service. For hospital treatment the nearest public hospitals are the Hospital Los Arcos in San Javier, about 15 minutes to the south by car (leave the AP-7 motorway at km 780 on the RM-1/MU-301 towards Santomera), and the hospital in Torrevieja, which is a similar distance away to the north (signposted from the N-332 on the CV-95 towards Orihuela). Hospital switchboard telephone numbers are 968 565000 (Los Arcos) and 965 721200 (Torrevieja). Dispensing chemists in Orihuela Costa are to be found in Las Lomas de Campoamor (near the Campoamor golf course), Avenida de las Adelfas in Campoamor and Avenida La Playa in La Zenia. Non-residents should note that in order to receive emergency medical treatment at doctor’s surgeries or hospitals, an up to date EHIC card is required. This can be obtained free of charge in the UK before leaving for Spain and is valid across Europe. Travel insurance is also vital, as there are many circumstances under which the EHIC card will not give full cover. An example of this is repatriation costs, so if a visitor has a serious accident and has to be repatriated back to the UK for further treatment, and travel overland by ambulance, this cost must be borne by the patient, and runs into thousands of euros. In some hospitals patients are charged for emergency medical care and then expected to reclaim from their own travel insurance, so make sure you have an EHIC card and travel insurance before travelling. Click for some useful information about obtaining Spanish health cover if you are a resident.